Vertilux V2. 595x595 luminaire with bi-symmetric optics. Ideal for ambient mid store lighting, it's batwing bi-symmetric output effectively lights merchandising on shelves. Ideal for placement down aisles of supermarkets and convenience stores with ceiling height of 2.5-3.5M. Supplied with industry standard 3 pole connectors as standard. Emergency, and dimmable versions are available to order. 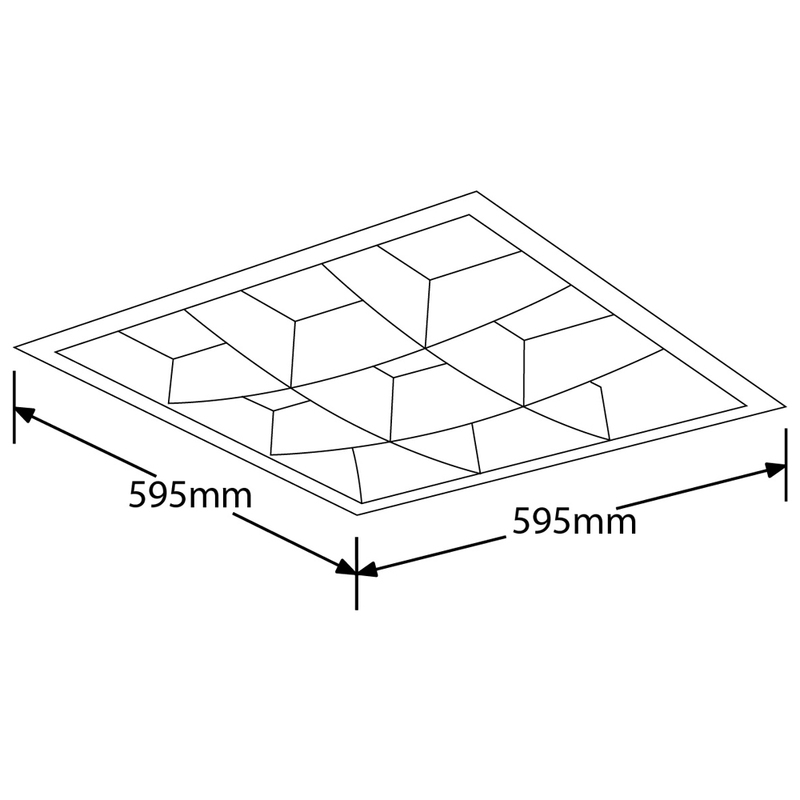 Supplied for use in T-Bar ceilings, separate frames for metal pan (clip in) or plasterboard (cut in) ceilings, are available to special order. 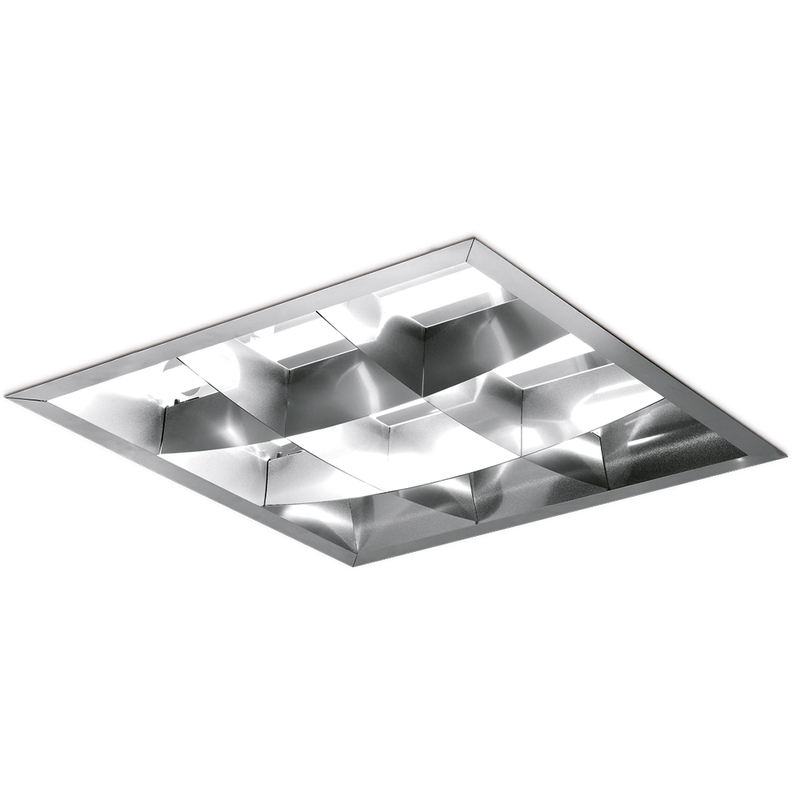 V1 has a traditional specular cross blade louvre, that is completely recessed into the ceiling and gives a light /dark appearance in the ceiling. V2 has cross blades of Miro 8510 material that hang beneath the ceiling, generating a lighter appearance in the ceiling. Ra >82. Power factor 0.9. Lamp life 20,000 hours to B50 5 year warranty.